Received and recorded by Joachim Nordwall at Morgan Avenue (Brooklyn), Lampo (Chicago), iDEAL (Gothenburg), EMS (Stockholm) 2006-2010. Technical specifications: RITM-2, iDEALIST DRONE MACHINE, LITTLE BLACK BOY, GLAMOUR BOX, KORG MS-20, iDEALIST NOISE MACHINE, MacBook Pro (various software) and various effects. Analogue sound sources, sometimes processed digitally. Joachim Nordwall is deeply interested in the power of sound, and how sound can create certain states of mind – but also the other way around; how certain states of mind can create sound. Since his teens in the late 80’s, growing up in the remote, crude south east Sweden, he has experimented with something he prefers to call ‘Psychic Broadcasting’ rather than composition, at first in the still almost active analogue synth drone duo Alvars Orkester [‘Interference’ – Ash International # Ash 6.9, 2006]. Nordwall went on to play in various experimental music projects, spent time in Paris and London. Back in Sweden he formed iDEAL Recordings in 1998 and joined the sweaty avant punk rock group Kid Commando the year after, touring like mad, eventually hitting rock bottom in 2005. After the death of KC, he formed the ritual rock/drone band The Skull Defekts which has kept him busy ever since (recently releasing records on Chicago-based Thrill Jockey Records). In 2006 his first solo album was released under his ‘The Idealist’ moniker, entitled ‘I Am The Fire’. A few years in the making, the album offered was a deep study of Nordwall’s interior life, during a time when everything was pitch black inside. Today, Joachim Nordwall is very active curating his iDEAL label and organisation for festivals, concert series and sound art exhibitions. He is also the chairman of the legendary Stockholm venue for experimental stage art, Fylkingen. Nordwall is a man that lives and breathes sound. 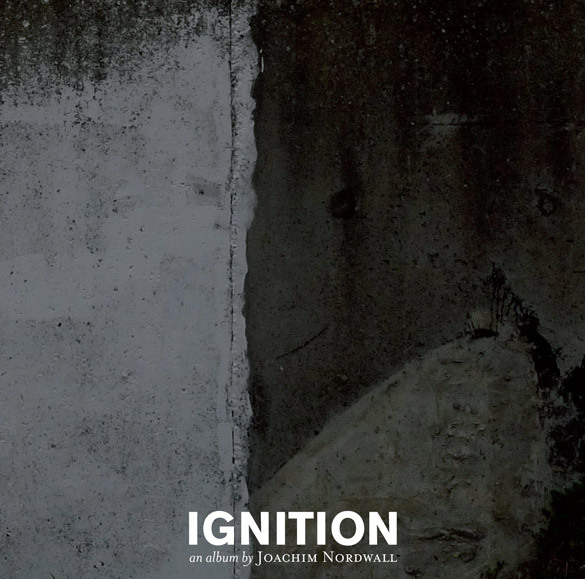 A few years have passed and “Ignition” is here, Joachim Nordwall’s second solo album. Recorded under brighter circumstances but still with many shadows present. “Ignition” is on one hand a solid, highly electronic trip, on the other hand a very sensitive, analogue and warm drone symphony. Ignition was released (and is still available) on cassette – also on Ash International, in 2010, thus asserting the primacy of the analogue format. Occasionally the sounds impose themselves on a sacral space in a more traditional sense – sounds of organs of different kinds evoke old churches and sinister goings on. This also leads on to other possible associations, one of them being horror films. Much of the ”Ignition” CD would work wonderfully well in some Mario Bava giallo thriller from the 1960s, complete with saturated technicolor pastels, demonic possessions, slasher violence and Hitchcockian nymphs screaming away as some mad monk lustfully puts an end to all their sinning. ”Ignition” is highly pleasant to listen to and to keep playing ambiently in one’s quite often busy background. In this day and age of fragmented listening, I really want to put across that this is a very good and very slow record. It’s a new kind of sacral music floating on top of waves of warm, fuzzy electricity. Buy it and listen to it. Not a cover of R. Kelly, unfortunately, but a really dynamic and varied long-form synthesizer piece on Touch-affiliated Ash International from Joachim Nordwall, a member of noise heroes Skull Defekts. There’s a real butchness and bite to this work that’s just completely blowing us away: Nordwall’s sticky, tactile analogue interventions range from monkishly reserved ambience to jutting techno pulsation, and all the while the sense of dread is unrelenting. It’s rare to hear this much presence and authority in this kind of work; fans of Lustmord, John Carpenter, Senking’s List, Eduard Artemiev, Oneohtrix Point Never, Prurient and other darkling synth wizards should pay close attention. Minimal, menacing, and highly recommended.